What is “Speculative” Ticket Listing? We love fans. We hate fake tickets. At Ticketmaster, we believe real fans deserve real tickets. So we are constantly improving our tools to make our ticket purchasing experience the safest and most secure possible for fans to get access to see the artists, games, shows and live events they love. 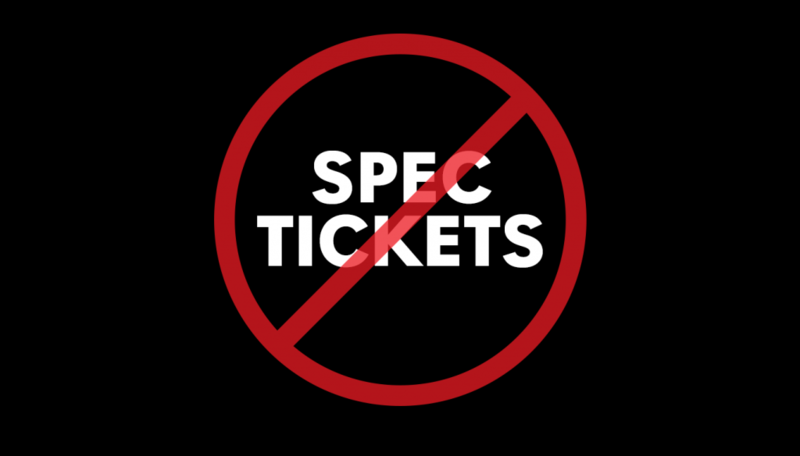 In addition to bots and scalpers, a growing problem that we fight against daily is a practice called “Speculative Listing” (Spec Listing) or “Speculative Tickets.” Spec Listing is when unofficial sellers list tickets for sale even though they do not actually have those tickets. They are betting (or speculating) that they will be able to get tickets and then resell them to fans. This is not only wrong, it’s unfair. It forces real fans to compete against resellers who are scrambling to find tickets to fulfill the speculations they made. These resellers are actually fighting against real fans like you who are trying to get their tickets through legitimate sources like Ticketmaster. Spec Listing is an issue for the entire ticketing industry and we do not allow it on our site. Our competition does and will even market these tickets that haven’t gone on sale yet. This creates a lot of confusion among fans. Fans should not trust resellers claiming to have tickets before the onsale has begun. Those speculative listings are NOT REAL tickets that the seller has in hand (meaning: they do not actually have those tickets to sell). People claiming to sell these tickets are creating acts of fraud and this practice is illegal in many states including New York. Fans should be vigilant and beware of these sellers. The latest act in Spec Listing is unofficial sellers speculatively listing codes for #VerifiedFan Onsales and Presales. You should not trust anyone trying to sell you a code. Only Ticketmaster can issue #VerifiedFan codes and we will never sell these through our platform or any other site. Furthermore, there is no way for you to know the code someone is selling you is valid. We recommend you always purchase from official sources.